High quality mp3 digital download of the full album with album art. Compiled into a single zip file for instant download. 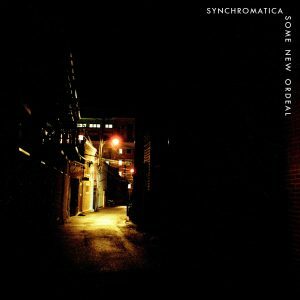 Some New Ordeal is the debut album from Synchromatica, released on 11/16/2018. With inspiration from 90s alternative luminaries such as Seam and Codeine, and also later visionaries like Elliott Smith and Sufjan Stevens, Some New Ordeal is the organic culmination of 18 months’ of writing and recording from Synchromatica. Some New Ordeal explores coping with decaying relationships and how we often undermine but ultimately free ourselves. Some New Ordeal will be available on most streaming sites (Spotify, Apple Music, etc.). Your purchase here will help support independent musicians, from the session musicians to the local studios to mixing and mastering. Synchromatica is on Azteca Records, check them out here. Feel free to stream the album below, and if you like it consider purchasing the high-quality versions!